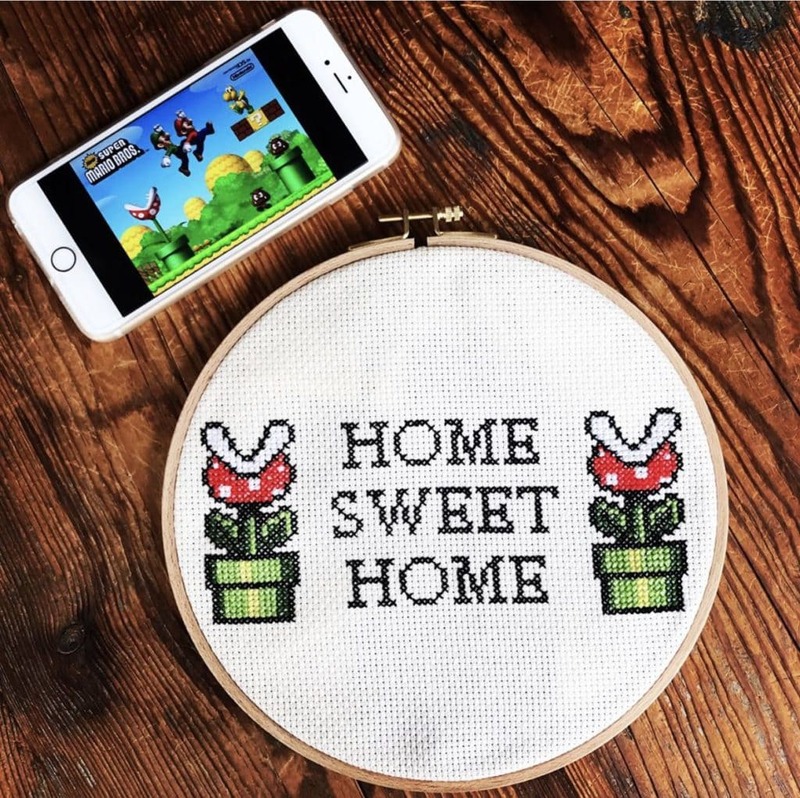 Home Blog Embroidery as a Hobby – A Beginners Guide! Somewhere in America, there is a birthday party happening right now. Across the street, family and friends might be celebrating the arrival of a new baby. Travel 20 miles down the road and there is a group of friends celebrating the retirement of their colleague.Every day, somewhere, a group of people gathers together to celebrate some type of occasion. And that means you’ll need a gift! And in keeping with the age-old mantra of “it is better to give than receive,” you’ll want that gift to be one-of-a-kind and something to remember. Relax, and sit back and enjoy this beginner’s guide on everything you wanted to know about embroidery. Embroidery? Really? Isn’t that something that only grandmothers do by the light of a kerosene lamp? Actually, embroidery is a hobby and pastime that can learn to love, even if home economics wasn’t exactly your favorite class in school. This beginner’s guide to embroidery will get you started on the right path, and will also make you the envy of every bridal, baby, or “we’re celebrating something” shower. After all, we all want our friends and family members to like the gifts we give them. 2 Why not Try a New Hoby ? 3.1 Are you patient? Consider Hand Embroidery! 5 Congrats! You’re an entrepreneur! 7 Getting started – What to do first? Chances are, you’ve been the person who came to the party bearing a picture frame because you ran out to the nearest big-box department store on your way to the occasion. Strike number one! Then you probably sat down in your car and pulled out the gift bag and tissue wrap and hastily put everything together so you can rush over to the party. Strike number two. Your friend opens the package, flashes you a polite smile and says “thank you so much, it’s lovely.” Strike three…you’re out! Meanwhile, the girl who did everything better than you in high school has completely outdone you by presenting your friend with a set of hand-made, embroidered tea towels. What? It’s just a simple set of tea towels. Big deal, right? Well, it is a big deal and here’s why. It’s personal. Simple as that. Someone took time out of their busy schedule to plan ahead and make something that is unique only to them. In this day and age when people prefer texting and tweeting over tea time, a touching, personalized gift will ensure you’ll be known as the best gift-giver on the block. Why not Try a New Hoby ? Forging ahead into the unknown can be scary and overwhelming. But it’s quite possible you’re missing out on something pretty darn cool because you’re intimidated and hesitant to try new activities or hobbies you’re not familiar with. Oftentimes, your imagination can run wild and get the best of you, and some things appear much harder than they are. The same can be said of embroidery. It’s one of those things your grandmother could do with her eyes closed. You may remember her sitting at her embroidery machine happily stitching away as you watched her and wondered how she didn’t stitch right over her hands. Embroidery is a skill that may seem more difficult than it truly is. Just like anything, the more you practice, the better you’ll get. But if you’re afraid of that big old, noisy embroidery machine, don’t be. The machine is your friend, and it can help you make beautiful, personal gifts and mementoes that will not only stand the test of time, but will be treasured keepsakes in the homes of your friends and family. Before you delve into Embroidery 101, first determine which method of embroidery better suits you and your lifestyle. While the outcome of both hand and machine embroidery is quite similar, the process is not. It would take a highly-skilled and trained eye to recognize a hand-embroidered piece versus one that was embroidered at a machine.Much has been said about the similarities and differences of hand and machine embroidery. Oftentimes, one complements the other and people who embroider appreciate and value knowing both skill sets. But if you’re choosy, there are numerous pros and cons to each skill. One of the most significant differences between the two is the time it requires of the person who is doing the embroidery work. Are you patient? Consider Hand Embroidery! Hand embroidery can more than double your project time, obviously, because a machine works much faster than a human being. It’s typical of crafters who are selling items in the mass market to use a machine as productivity and efficiency are the order of the day. But someone who occasionally embroiders a blanket for their new niece, or a pillow to give to their neighbor, will probably consider hand embroidery, if they have the time to devote to it. Remember your 4th-grade Science Fair project that took you three weeks to complete? You came home from school every day and ran straight into your garage to begin working on it. You took extra time and care to create the perfect project because you wanted to get a good grade, and you wanted to make your teacher (and hopefully your parents) happy and proud. The same concept applies to hand embroidery. If you have the time and the patience, and you want to make something crafted lovingly by your own hands, then hand embroidery is the way to go. Another significant difference between the two methods is cost, not only in terms of supplies and machinery, but retail cost as well. For instance, a machine-embroidered jacket might cost a bit more, while its hand-embroidered counterpart costs nearly double. The increased cost is directly related to the time involved in the creation of the product. Hand-embroidered pieces require intricate and personalized design and creation and are quite often sold at considerable cost in the retail market. Someone looking to pick up machine embroidery as a hobby should also consider the initial, up-front cost of an embroidery machine, which can cost either quite low or quite high, depending on the complexity and features of the machine. Many people do not have the initial investment up front to purchase a machine. However, once you have purchased the machine, the costs involved in embroidery are minimal and well worth the investment. To ease the pain of purchasing an embroidery machine for home use, consider this: machine embroidery is a much quicker process and your machine can pay for itself if you’re looking to get into the retail market. What takes a week to hand embroider will possibly only take a day, or even a few hours, with a machine. And if you’re looking to recoup some of your money, you’ll definitely want to invest in a home embroidery machine. Again, there is a tremendous difference in cost for different machines. But if you’re looking for something to allow you to perform basic embroidery, look no further than the Brother SE400. This machine is very user-friendly and comes complete with over 60 built-in stitches and 70 different designs. This is a dual sewing/embroidery machine, allowing you to create touching gifts, or fix the hole in your son’s dress pants. Taking it up another notch is the Brother PE770, a computerized dynamo machine that will let you sew and embroider anything and everything. It is arguably the best ambroidery machine for home users. If you’re already accomplished with a needle and thread, try out the Brother LB6800. It’s quiet (great for sleeping babies) and compact so you can haul it around. This machine can accommodate a variety of fabrics and also features a touchscreen LCD display. With this machine, you can easily go back and forth between embroidery and sewing, and it also features a stitch rate of 700 stitches per minute and 400 embroidery stitches per minute. Whether you elect to try hand-embroidery or machine embroidery, consider all the pros and cons before you begin. Also keep in mind that the more advanced you become, the higher the costs will climb. Some supplies related to certain methods of hand embroidery can be quite expensive. But if you’re looking to pick up basic hand embroidery, there is minimal cost involved. 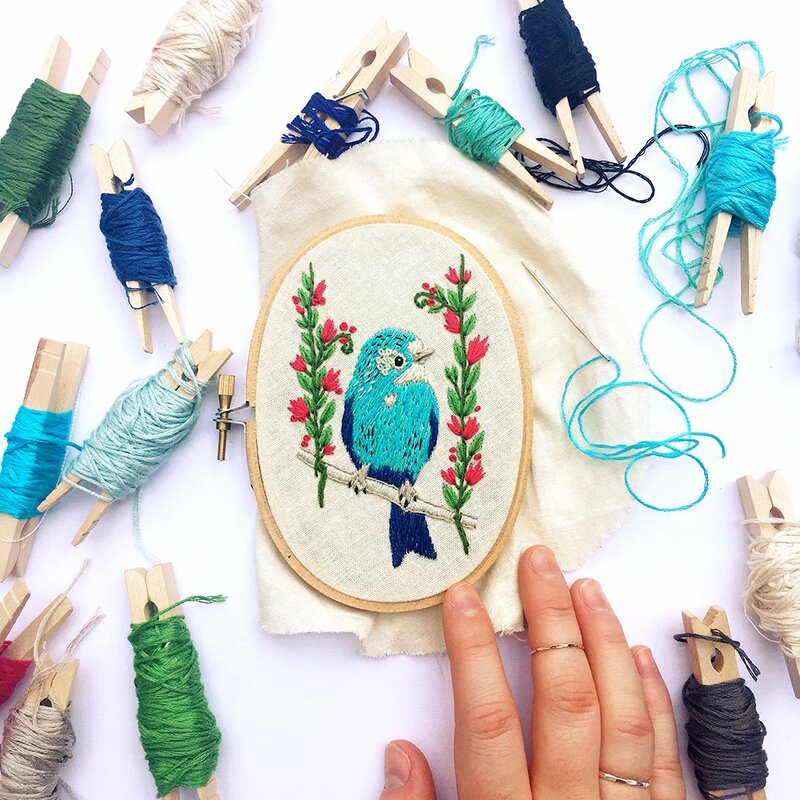 No matter which method you’re interested in, rest assured that practice does make perfect, and if you’re truly interested in learning this craft, you’ll be enjoying the fine art of embroidery in no time at all. Once you begin honing your craft, the possibilities to earn a second income, or even open up your own business become endless. Truth be told, just about anything can be embroidered and sold for a profit. You will have some costs involved with start-up, but those can be minimal. A little creativity can also drastically cut your costs if you hit up flea markets and garage sales over the summer. Inevitably, you can pick up embroidery supplies such as floss and needles at garage sales. Supplies can also be picked up at deep discounts and clearance sales at craft stores. A little determination and ingenuity can go a long way in keeping your costs down, and profits up. But there are a few basics you can’t live without if you want to earn a second income, and a good machine is one of them. If you’re looking to make multiple pieces at a fast rate, you’ll want to possibly invest in a commercial machine. Some companies offer a lease to own program, and payments can be made over a longer period of time, keeping your initial costs to an affordable level. A Computer – Also on the supplies list to get you started is a computer. Yes, your grandmother got along just fine without one, but a computer will open the door to embroidery paradise. You’ll be able to look at tens of thousands of different embroidery designs on the internet, and download them to your machine (if it’s compatible). Software – Also on the list is embroidery software. This is optional, but you’ll definitely want to go this route if you’re serious about your hobby. Hoops – You’ll also need embroidery hoops. This is a critical step in the entire process and an area where you don’t want to skimp. Purchase high-quality hoops that are sturdy and will hold your fabric snug and secure. Floss – You need floss. No, not what the dentist gives you, but you’ll need a fairly substantial supply of embroidery floss. Do not…repeat…do not use regular sewing thread in an embroidery machine. The link from the sewing thread will become entangled in your machine and cause you more than a headache. Be wise up front and purchase a wide range of colors and textures of embroidery floss.The debate between which type of floss (rayon or polyester) to use can go on forever, but it’s safe to assume that a little research goes a long way in determining what type of floss works best for your machine. ATTENTION: Some machines take to certain types of floss better, so it’s best to consult with a commercial embroidery company, or subject matter expert, before making any purchases. Typically speaking, though, polyester is much stronger than rayon, but not as vibrant in color. Getting started – What to do first? Once you’ve purchased everything you need, you’re all set to begin embroidering. Again, just about any material or pattern can be embroidered, but beginners oftentimes find value in using patterns that feature basic, beginner-like embroidery stitches. Some of these beginner stitches might be backstitch, satin stitch, split stitch or French knot. These stitches are some of the easier stitches for beginners and you should look for patterns where these stitches are used repeatedly. In terms of style, there’s a million and one, but you can make your own style based on your personality and skill level. The same is true with color. If you’re a subtle type of person, look for earth and muted tones. If you’re a rainbow type personality, then go for it with bold and vibrant primary colors. Regardless, make this hobby your own. Once you learn the basic technique of embroidery, it’s all down hill from there. You can continue to refresh your skills and techniques by taking on new challenges and designs. I hope you’re going to find this website helpful in getting you started.